Papadopoulos Lied On Resume To Get Policy Gig - Joe.My.God. George Papadopoulos, who pleaded guilty to lying to the FBI about his attempts to get dirt on Hillary Clinton from the Russians, claimed on his resume to have worked as a research assistant at the Hudson Institute for almost five years. His LinkedIn profile said he worked with three senior fellows from March 2011 through September 2015 and led energy security projects for Eastern Mediterranean countries until accepting a role on Ben Carson’s presidential campaign. 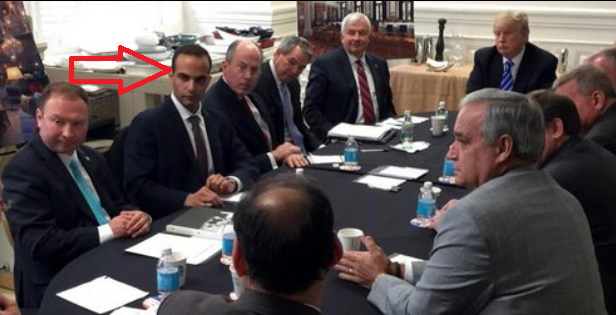 But the conservative think tank said in a statement that Papadopoulos was just an unpaid intern in 2011 and only worked as a freelance contractor for one Hudson senior fellow in 2013 and 2014. A former manager for Papadopoulos did not respond to comment on the timeline inconsistencies, but the Institute said he exaggerated his time there. Ben Carson’s campaign manager, Barry Bennett, was desperate to add to his list of foreign policy advisers in November 2015. But Bennett was only looking for a short-term rental — a gun for hire whose name could go on a list of advisers to make it look like they were taking one of Carson’s shortcomings seriously. Bennett says he did not introduce Papadopoulos to the Trump campaign. He suspects that Sam Clovis, a policy adviser to the Trump campaign, was in a similar position of needing to show that Trump had a list of foreign policy advisers and that Papadopoulos likely played the role of adviser in name only. “My guess is that Trump pulled out a list that Sam Clovis had typed up and read off the names and that’s how his name popped up,” said Bennett, who advised Trump’s transition team. Several media outlets have pegged Clovis as the campaign supervisor that Papadopoulos emailed with about his Russian contacts. Clovis allegedly told Papadopoulos he was doing “great work” and encouraged him to set up a meeting with the Russians.